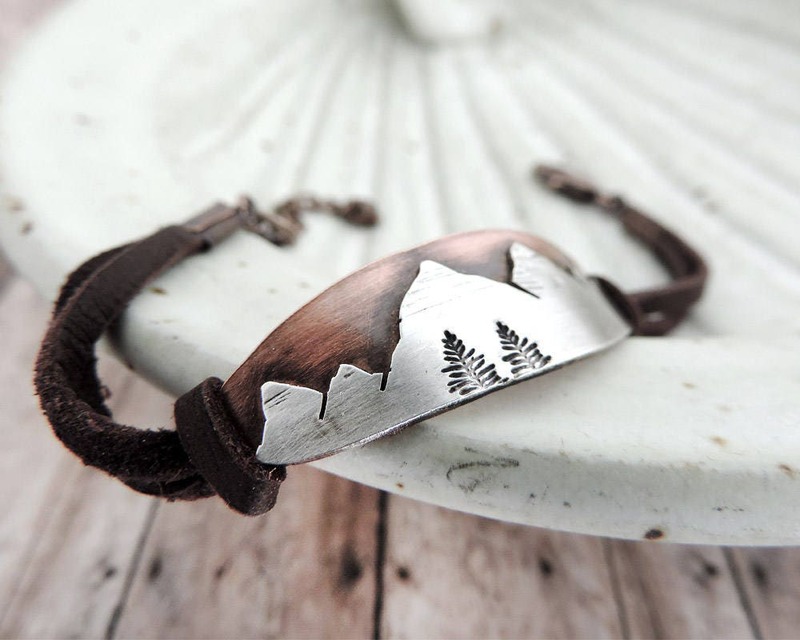 This narrow profile oval shaped mixed metal mountain range bracelet is a perfect gift for mountain lovers! For a snug but comfortable fit, add 3/4" to your wrist measurement. The average bracelet length is 7". Bought this as a gift and my friend loved the bracelet. Looks well made and shipping was super fast. This seller does an amazing job, and her jewelry makes for awesome gifts!